KDE contributor Ken Vermette has written The Quintessential 2016 Review of Plasma 5.5 which was released last month, a 9 page cover of the good, the bad and the beautiful. Plasma 5.5 marks the beginning of the lifecycle where the vast majority of people will find it capable of serving as their workhorse environment. While at the beginning of the year Plasma 5.2 was exciting but a little wobbly, 5.5 has seen enough iteration to mature and close the significant issues found by the majority of early adopters. As of 2016 Plasma 5.5 has evolved well beyond where Plasma 4 ended while showing no signs of slowing down in the slightest, and I confidently recommend trying it out. Building on the success of conf.kde.in 2014 at Dhirubhai Ambani Institute of Information and Community Technology (DA-IICT) in the land of Gujarat and 2015 at Amritapuri in Kerala, India, the horizon of the KDE Community is broadening and shifting to north India. conf.kde.in 2016 takes place on the 5th and 6th of March at Jaipur in Rajasthan, India. As in previous years of the conference, conf.kde.in 2016 will promote the spirit of free and open source software (FOSS) and offer ideas to build awareness about FOSS culture at the college level, when most technology students have their first experience with Open Source. 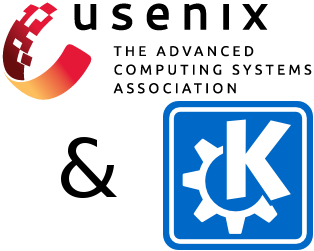 The emphasis will be on KDE technology and Qt, the popular cross-platform application framework. The Plasma team has been working on an early Christmas present: a live image running Plasma on Wayland. Being able to run a full session of Plasma with applications is a major milestone in our aim of moving from the 30 year old X Window System to its replacement. USENIX, in cooperation with LOPSA (League of Professional System Administrators), presented the 2015 LISA (Large Installation System Administration) Conference in Washington, D.C. USA from 8 November to 13 November. Two members of the KDE Community represented KDE at the Conference Expo, connecting with many of the 1,060 attendees to discuss successful large scale deployment and other KDE goodness. 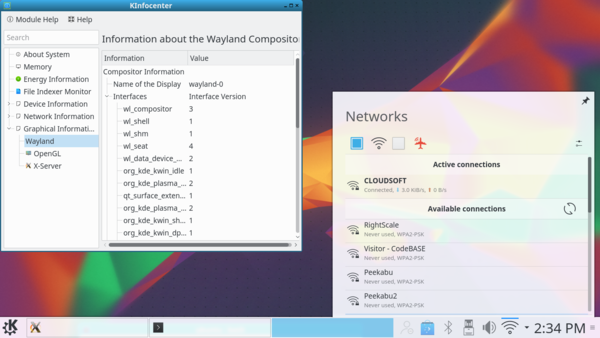 Yash Shah and Michael Pyne demonstrated the features of the Plasma 5 desktop and underlying KDE Frameworks, with a focus on how those features can help meet enterprise IT needs. The KDE e.V. report for the fourth quarter of 2014 is available (PDF). It features a compendium of all the activities and events carried out, supported and funded by KDE e.V. 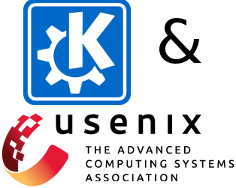 in that period, as well as the reporting of major events, conferences and mentoring programs that KDE has been involved in. The KDE PIM spring sprint was held in Toulouse, France in March this year in Makina Corpus offices. The sprint was very important, because the team needed to decide how to continue from the current situation. At the previous sprint in Munich in November when Christian Mollekopf and Aaron Seigo introduced their new concept for the next version of Akonadi it was decided to refocus all the efforts on working on that, which meant switching to maintenance mode of the Kontact Suite for a very long time and then coming back with a "big boom". In Toulouse this plan was re-evaluated and decided that it is not working for the team and that it will be much better for the project as well as the users if they continue active development of Kontact Suite instead of focusing exclusively on the “next big thing” and take the one-step-at-the-time approach.